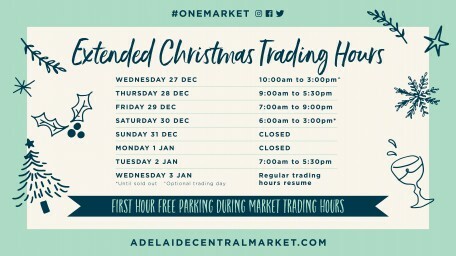 October 2017 - Adelaide Central Market: The City of Adelaide's premier food destination. Over 70 traders under one roof. 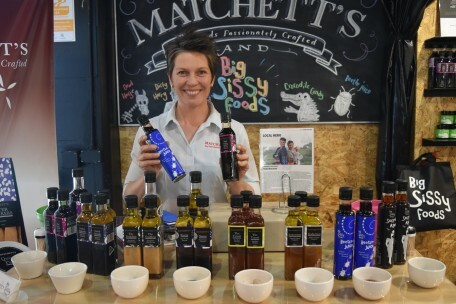 Please welcome our next Producer in Residence… Matchett Productions and Big Sissy Foods! Based in the Fleurieu Peninsula, discover their high-quality hand made products, from stirring the pot to pouring into the jars and labelling! Try their infamous ‘Bad Sally’ (balsamic reduction), salad dressings, olive oils, dukkah, quince paste, jams and chutneys or discover their quirky Big Sissy Foods range including ‘Smokin Tex’ (smoked plum sauce), ‘Crocodile Candy (snappy onion marmalade), Holy Ghost (Blimmin’ HOT Kasundi) and ‘Screamin Cream’ (Raunchy Salad Cream). Discover their delicious local products at the Producer in Residence Stall on Market days ‘til 4 November (next to O’Connell’s Meats). Adelaide Central Market named a finalist in the 2017 South Australian Tourism Awards! We’re thrilled to announce that we’ve officially made it as a finalist into the 2017 South Australian Tourism Awards! We can’t wait until Friday 10 November 2017 to find out if we’ll take home a win at Tourism’s Night of Nights.